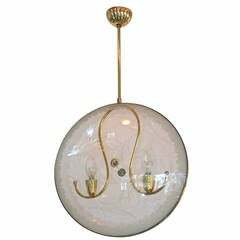 Gorgeous early 1950's Italian chandelier in the manner of Pietro Chiesa and Max Ingrand of Fontana Arte in the form of a flying saucer with clear crystal top and textured glass venturi shaped bowl with subtle etched flowers. 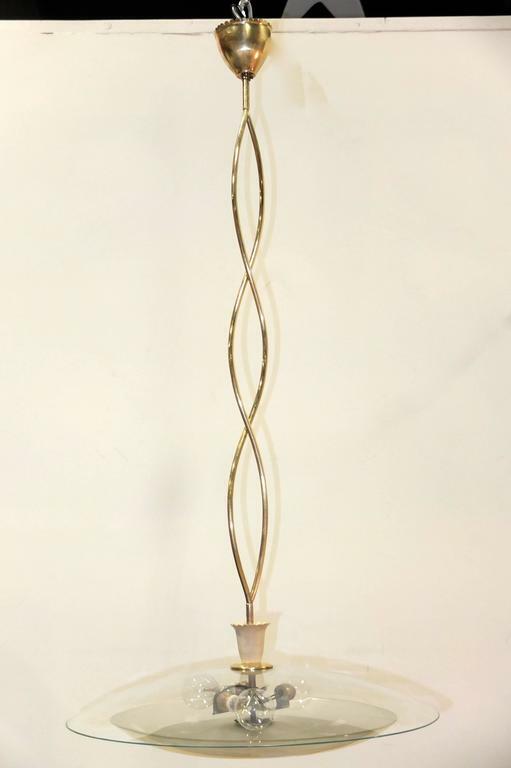 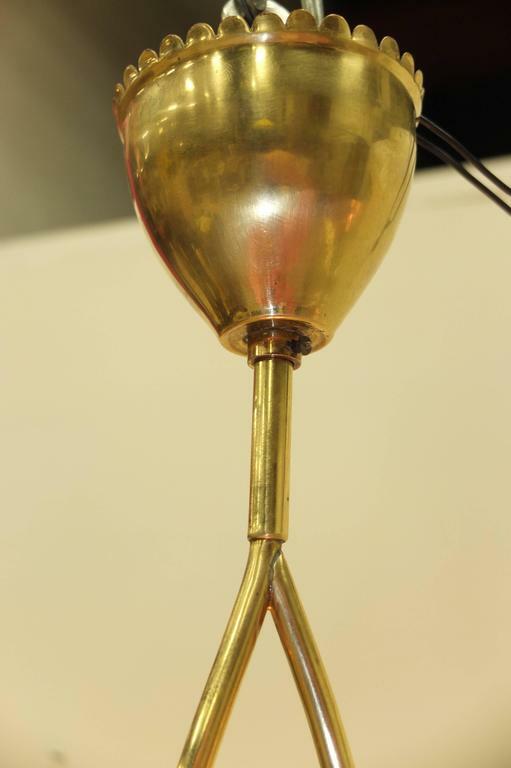 Most unusual is the elegant stem which is made from two intertwined brass tubes extending through the original scalloped edge brass canopy. 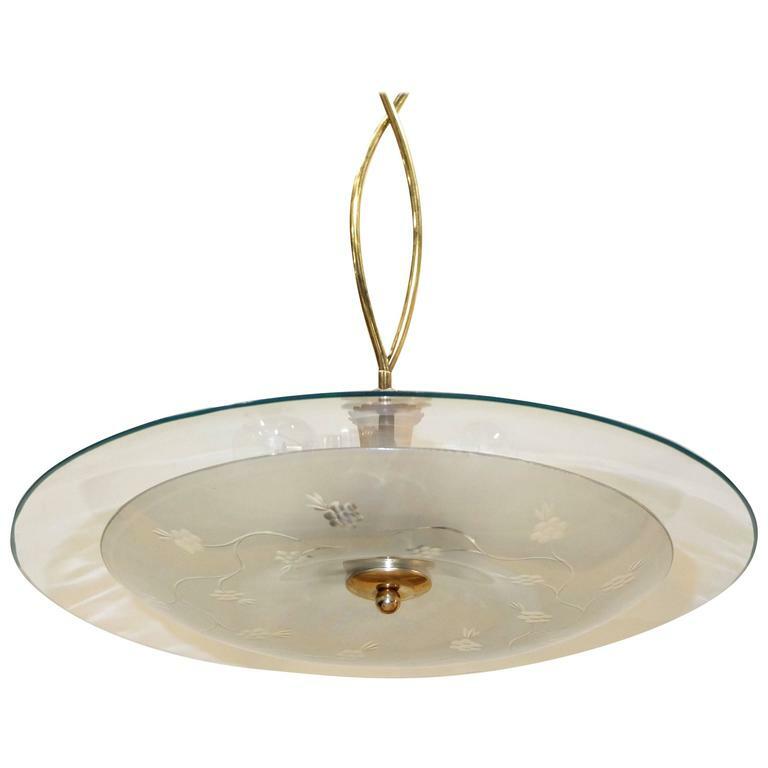 Newly rewired lamping consists of three sockets inside the saucers each of which takes a 60 watt candelabra screw cap bulb. 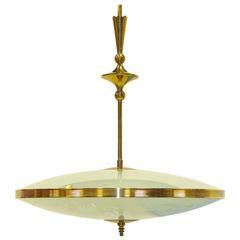 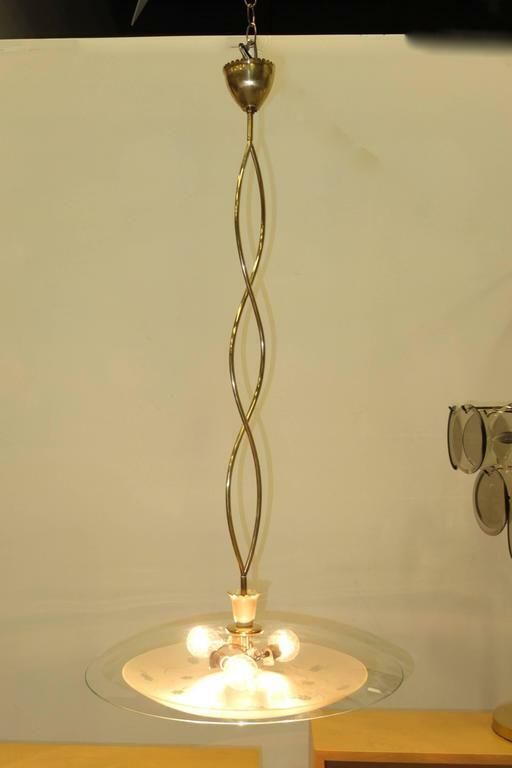 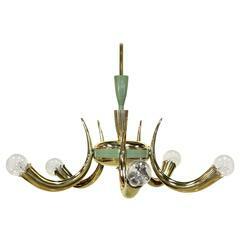 A ceiling lamp, brass with glass pendants. 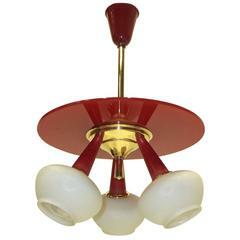 Manufactured in Italy, 1950s.